Bloomington, Ind. – Today, Cook Group announced Nicky James as vice president of Human Resources and Talent Development. With this announcement, Cook Group continues to invest in employees. James will focus her efforts on developing a robust people pipeline that supports the company’s long-term vision and goals. During her tenure at Cook, James has successfully held many leadership positions within the company that have prepared her for this new role in human resources. 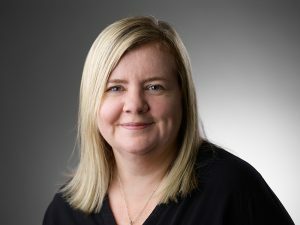 In her new position, James will further develop Cook’s workforce, engagement, and change management strategies to attract and retain employees who fit the company’s unique culture. In 1998, James began her career with Cook Medical on the sales team for Urology in Midlands and North Western United Kingdom. While in Europe, she held positions including sales representative and regional manager of Urology for Northern Europe. In 2006, James moved to the U.S. to serve as a global product manager, followed next by a position as National Sales Manager for North America. James led two of Cook Medical’s business units and served on the executive leadership of a third business unit. The 20-year veteran of Cook Medical will now oversee all human resources functions for both Cook Medical and its parent company, Cook Group. Cook Group is a family-owned company with headquarters in Bloomington, Indiana. Our diverse business portfolio includes companies working in life sciences, business services, resorts, property management, and medical devices. Founded in 1963, Cook Group companies today employ more than 12,000 people around the world. We are committed to improving lives by giving back to our communities, supporting our employees and their families, and serving our customers and their patients. Learn more at www.CookGroup.com.